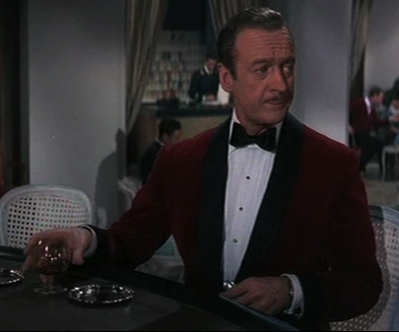 I know it's not considered 'purist' formalwear, but for some reason I really like the red dinner jacket worn by David Niven as Sir Charles Lytton in The Pink Panther. 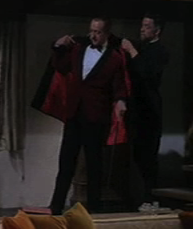 I like to think that in a time when formalwear was more common, people really could buy a couple of different dinner jackets to keep their style interesting. Today, unfortunately we often have so little occasions to wear black-tie attire in the first place that having extra jackets would easily be seen as useless. I think a return to a more formal style would be great fun as well as obviously being more elegant. The idea that one must wear mismatched clothing to fit fads is as equally ridiculous as the idea that formalwear should be boring. A proper balance between the two can allow some variety while still keeping the essential elements to stay in harmony. It's the difference between good taste and silly gimmicks simply designed to sell products to unsuspecting consumers. Because the only part of the outfit to depart from the black/white color scheme is the body of the jacket, the distinctness of the outfit is retained. 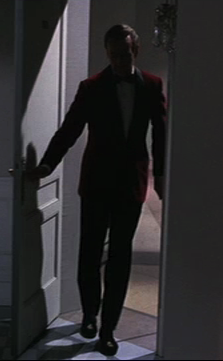 Had the bow tie also been changed or additional elements such as red trousers been added, I would think it would throw the outfit out of good taste and easily into excess. 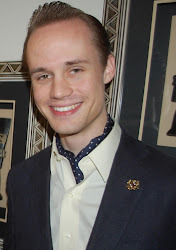 Again, balance and crispness is the beauty of formalwear and must always be preserved however the outfit is constructed. 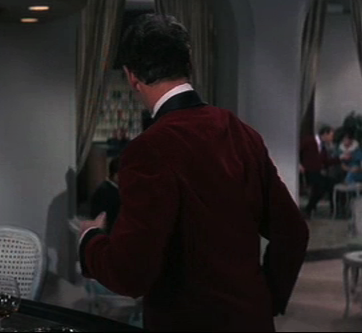 Another touch I rather like is that the red jacket has been paired with monogrammed prince albert velvet slippers... much like the ones I reviewed in an earlier post! Please note that all captured images belong to the authors of the movie and are provided here for informational purposes only.